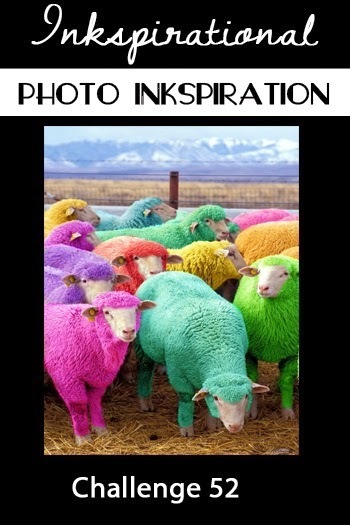 Stumbled upon a new (to me) challenge site and since I've been very obsessed with playing inks lately, the photo inspiration from the challenge site caught my eye and I've decided to join the fun! Here's the photo. Click on it to bring you to the site. Here's my card. I used Dylusions ink for this. Wow, your card is very cool! I love the look you've created with water colors. Thanks for joining us at Inkspirational! Perfectly simple design - the colours just leap out. Glad you found us at Inkspirational.